Beware! This sublime feature film co-directed by Ben Howling and Yolanda Ramke for Netflix, starring Martin Freeman and co-starring Anthony Hayes and Susie Porter, with a two-thumbs-up supporting cast, can snare you as it did this reviewer in a persistent loop of benign obsessive compulsion. Every time I hear CARGO’s rhythmic and haunting soundtrack end credits, I want to see the film. That makes me want to hear the soundtrack end credits again and that makes me want to see the film again – setting off a psychological urge that that won’t be denied until I eventually chill out – until it all begins again. The best zombie movies, with their eyeful of pestilence, decay and degradation, are metaphors for the apocalyptic end of days of a consumer society morphed into the ultimate consumer society, whose citizens, shorn of humanity, form roaming, ravenous herky-jerky mobs on savage hunts for the next bite. The best films end on an ironic note or with a denouement clearly ambivalent about the future. Regarding CARGO, however, 2018 TFF staff reviewer Matt Barone nailed it when he wrote that the film exists on another plain of imagination. “Filmmakers Ben Howling and Yolanda Ramke defy genre fans’ zombie-based expectations with their co-directing debut. Cargo pulls no punches in its intensity, yet the duo’s thoughtful film offers a deep, emotional meditation on intimate issues, like a parent’s love, as well as larger themes, like environmental protection and cultural strife. Injecting fresh life into zombie cinema’s often cold bloodstream, Cargo is tailor-made for sophisticated horror fans.” Race and racism also are intimate issues in this film. 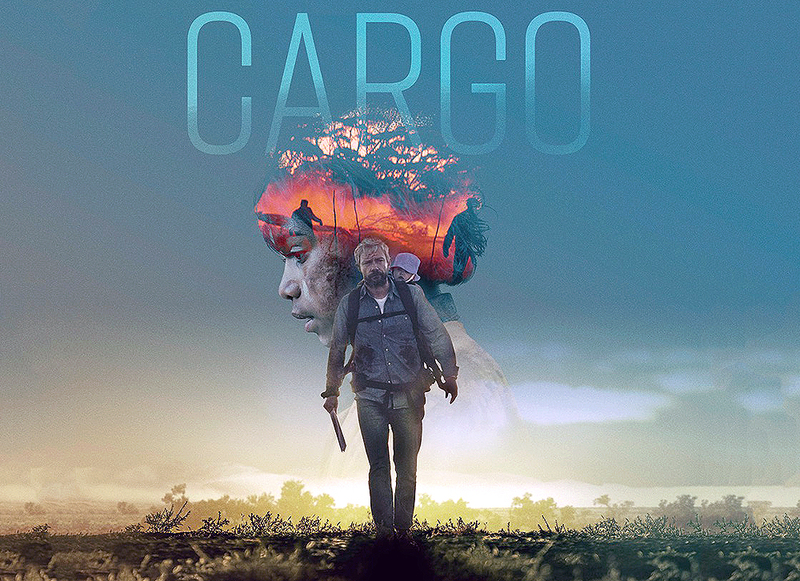 CARGO is also tailor made for audiences who like exceptional horror movies that can wale unmercifully on their psyches. The lush cinematography of the Australian landscape contrasts sharply with the anguished and agonizing scenes of despair. The film is melancholic and simultaneously sanguine about the human condition. Its melancholy can stir up tears as its sanguinity flushes our inner child with a surge of what I call Zen Joy. The ending is breathtaking. 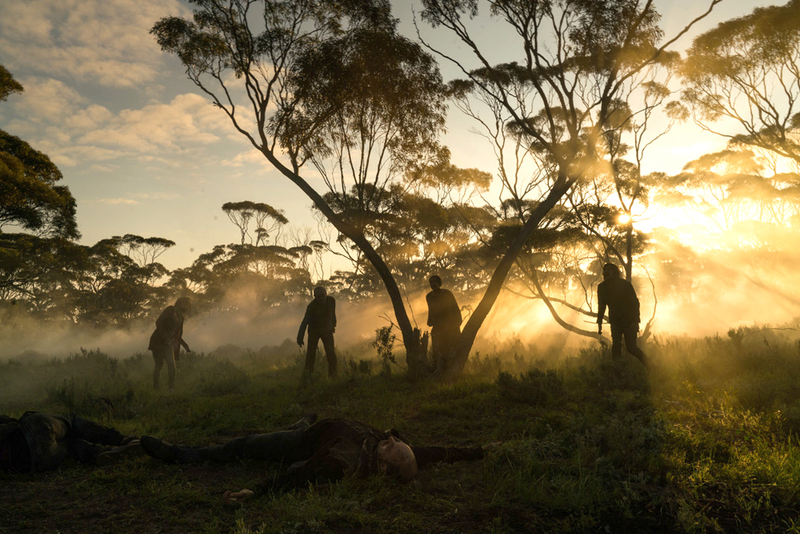 The lush cinematography of the Australian landscape contrasts sharply with the anguished and agonizing moments of despair. There are scenes that signal the threat-menace of an attack in the making while our eyes are awash in lush scenes and landscapes. And the soundtrack, throughout, but especially at the end, is captivating. Every time I see the film I need to hear the soundtrack end credits. And then I need to see the film again. And so on. I’m already up to five. 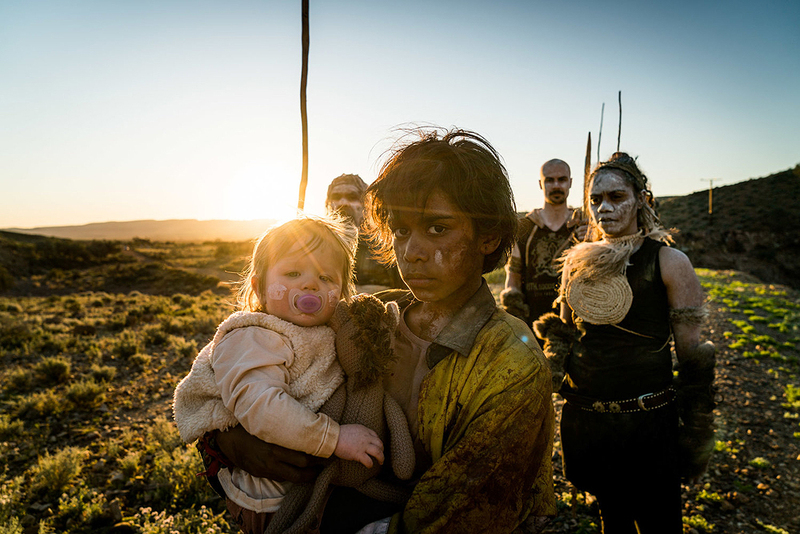 Thank the gods – aboriginal,non-aboriginal – it’s on Netflix but was originally screened by me at the Tribeca Film Festival 2018, which came to rest April 29. There may be unintended spoilers in the following narrative for the review, quoting directly and indirectly from Matt Barone. 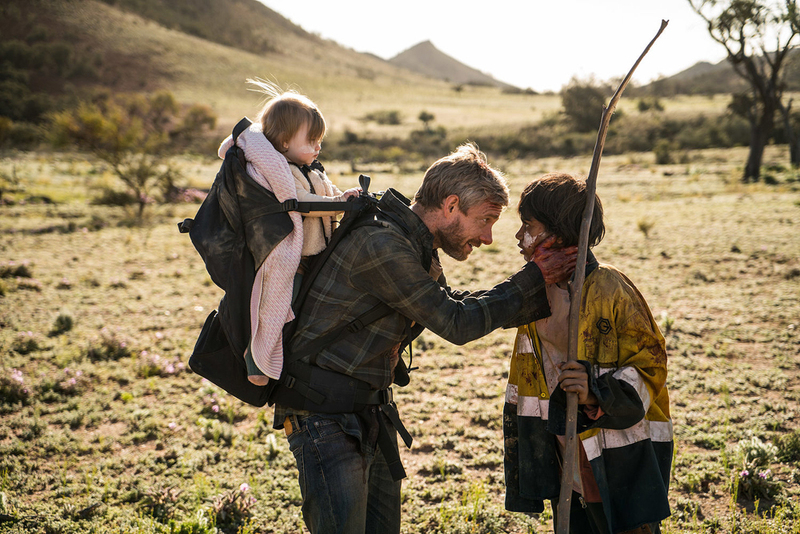 A global pandemic smacks the world in the face and Andy (Martin Freeman), in Australia with his wife (played by Susie Porter) and their baby, struggles gallantly to them alive as they travel across the Australian Outback. We see them at the opening of the film on a boat and they are optimistically making heads way toward what they believe is a sanctuary. Fate, zombic of course, catches up with them and Andy has 48 hours before he, too, joins his wife and the other undead. He struggles to find a refuge for his child as he staves off the disease, the clock running out on his humanity. He crosses paths with an indigenous youngster, Thoomi (Simone Landers) who, after they resolve their suspicions about each other, helps him. Her people may have a cure for the sickness.